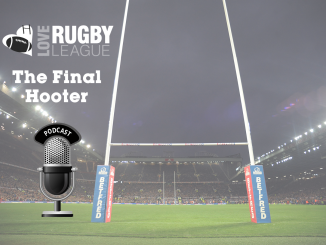 Former NRL forward Ashton Sims sits down to discuss life with the Toronto Wolfpack, returning to the Halliwell Jones Stadium and featuring in the opening game of the 2018 Magic Weekend. Sims made the switch from the NRL to England in 2015 to join Warrington, and three years later, the Fijian international has now made the journey to Canada and Toronto Wolfpack. 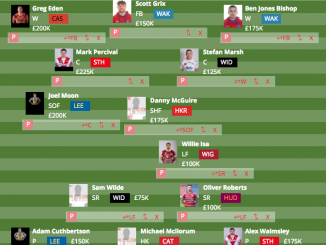 The former North Queensland Cowboys prop was one of the highlight signings ahead of the current season for the first trans-Atlantic team, and they lead the Betfred Championship table with just one loss in 14. Paul Rowley’s side continue to hit the headlines in rugby league for the right reasons, something the sport can lack at times. The Wolfpack hosted their first game in Canada this year last weekend, albeit at a temporary home whilst Lamport Stadium undergoes some re-construction. They hosted Swinton at Fletcher’s Field in what saw close to 3,000 fans attend. 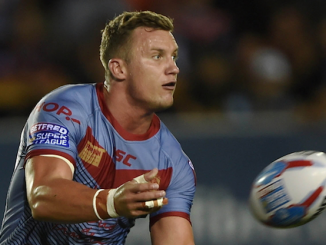 Unfortunately, Sims missed out on the win against Stuart Littler’s side, and will now have to wait until at least June to take the field in Toronto, where his side will play host to London Broncos in round 16. On the occasion, which is set to be the first Championship game played on the new pitch at the stadium, Sims said: “It’s going be mega. We’ve been received really well. In my first week in Canada we had a members’ night and around 250 people crammed into one little bar in the middle of Toronto City. 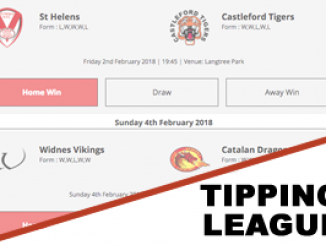 Before his team can get too excited, there’s business still back in England, starting with a return fixture for the forward to the Halliwell Jones Stadium to face his former side Warrington in the Challenge Cup. Sims featured more than 90 times for the Wire, including seven tries and played for them in a Super League Grand Final in 2016. “Warrington will always hold a special place in my heart,” said the 33-year-old. 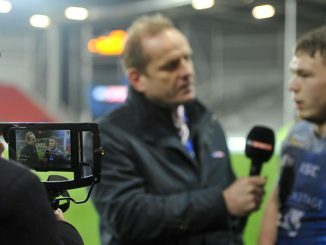 “When I came over I didn’t know what to expect about Super League and the club exceeded all my expectations. I had three kids at the time [now four] and my wife and they looked after me on and off the field. The season continues for the recently-promoted side in just their second year of professional rugby league, as they will open up the Magic Weekend in Newcastle against French side Toulouse. In what was originally scheduled for Canada, the two overseas sides have agreed to meet at St James’ Park, playing in front of their biggest crowd of the year before six games of Super League commences under the one roof. This time, Sims will be running out with his new side instead of Warrington, something he has experienced for the past three years. “I loved Magic Weekend. It was something different and we’re not used to it at all back home in NRL,” he said. When asked if the NRL could use the concept, Sims replied: “I definitely think so. If we got it at somewhere like the Olympic stadium in Sydney, it’s a different spectacle for all the fans. “It’s a different way to look at rugby league in the NRL. Fans of course have got their teams but are always looking at the competition and there’s no better way to do it over 48 hours. A week later, Toronto will make the trip to Blackpool for the Summer Bash. The seaside-resort has held the Championship’s equivalent of the Magic Weekend since 2015, allowing the lower-league sides to play in front of big crowds at Bloomfield Road. Toronto and Sims will be making their Summer Bash debuts this year after winning promotion from League One in 2017. “I haven’t been up there yet, but from all reports it’s like Magic Weekend. “Sunday afternoon is the start of real special games of the year. Newcastle and Blackpool games that we never played before and you know I think it can only mean good things in Canada.